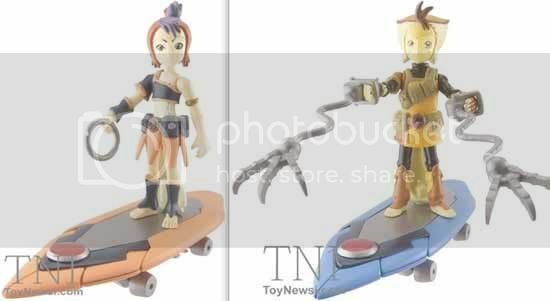 TNI just released these images of Wily Kit and Wily Kat toys from the rebooted Thundercats franchise. I'm glad that these guys made it into the first season of the animated series. I was kind of worried that we wouldn't see the mischievous twins doing their thing because there wasn't any trace of 'em in any of the posters and teasers we saw earlier. Now as far as I remember in the original series they didn't have skateboards or at least not both of 'em, they look great and all but it would have been great to see some variation. Maybe inline skates for the other twin would have been nice to see.